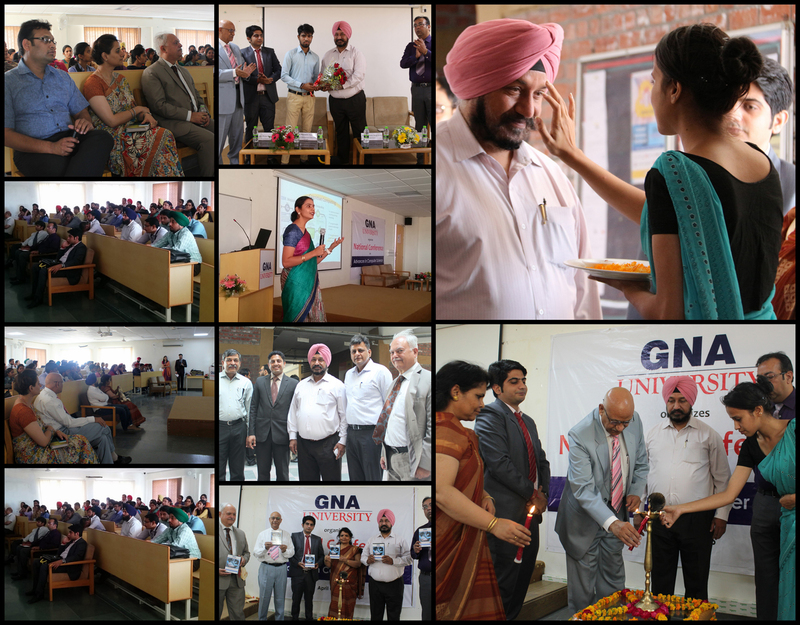 The Faculty of Computational Science, GNA University organized "1st National Conference on Advances in Computer Science (ACS) 2016.” The conference was inaugurated by the Chief Guest, Dr. Harminder Singh Bains, Director PU SSGRC Hoshiarpur. More than 120 delegates from Industry, Academia and Research scholars participated in it and shared their views on their area of research. The key note address on "Big Data- A Drift" was given by Mr. Ravinder Kundu, Change Management Specialist, Google India Pvt Ltd. The technical sessions was chaired by Dr. Kamlesh Dutta , Associate Professor, NIT Hamirpur and Dr. Pankaj Deep Kaur , Assistant Professor, GNDU, RC, Jalandhar. Both the session chairs also enlighten the delegates with their research specializations and talked about future advances in the area. The Proceedings of the conference was released during the conference.